After the creation of a stand alone version of WinPatrol it became obvious that users wanted to have their own flash memory based tool kit. 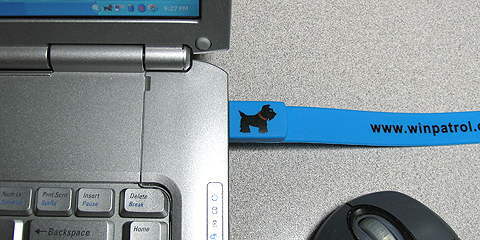 I also thought it would be cool to have a WinPatrol brand flash memory stick so I created the WinPatrol USB Wristband. I couldn’t get one for myself without ordering a large batch so I’m making the wristbands available in the BillP Studios online store. Wristbands are currently available for $24.95 plus shipping until the supply runs out. Use your WinPatrol USB Wristband to copy your music, photos or even your data from one computer to another. Pretty cool Bill. Looks great. Good packaging. Count me in for one to help you complete the minium order batch.